Plastmaterial: High impact elastic polypropylene. Halogen free and UV-stabilized. 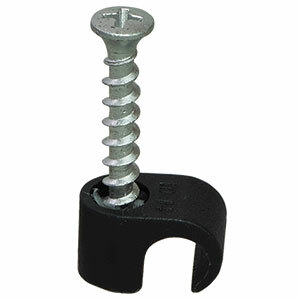 Screw: Strong concrete screw, Corrosion Class C4, PH2 / Torx 20. Can be installed both indoors and outdoors. 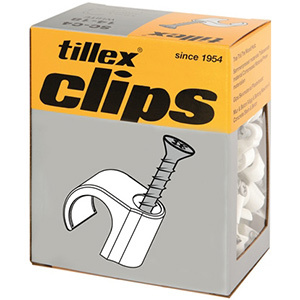 For concrete and tile: screw directly into 4 mm hole – no plug required. For 13 mm single-layer plasterboard: mount using yellow plug (KP yellow). For double-layer plasterboard – no plug required. If screw “goes over”, mount using yellow plug (KP yellow) in the created hole. For 13 mm single-layer plasterboard on metal profile – no plug required. For wood, fibreboard and plywood: screw directly into material. For aerated concrete: mount using yellow plug (KPyellow). For densities above 600, screw directly into concrete.